And speaking of plans, it turns out that having the rest of your life to travel may not be enough time. I know, sounds crazy, but … we want to spend September in Italy. And we want to get to Albania and Croatia for two or three weeks before that. All of a sudden it’s July 6 and that doesn’t leave much time for Poland, Slovakia, Hungary, Serbia, Montenegro, and Bosnia. Very frustrating. Today was a simple day. We took a bus to Oteppa, a town about 42 kilometers south of Tartu (about $12 round trip, total, for both of us!). Otepaa is described in our guidebook as Estonia’s winter capital, but also a center for hiking, biking, and canoeing in the summer. We wanted to hike so we got to the town and the very helpful and friendly woman at the info center right next to the bus stop gave us a map to hike down to and around Puhajarv (Holy Lake, once blessed by the Dalai Lama himself…), a total of maybe 20 kilometers. Besides just a very pretty walk around a beautiful lake, two things stood out. 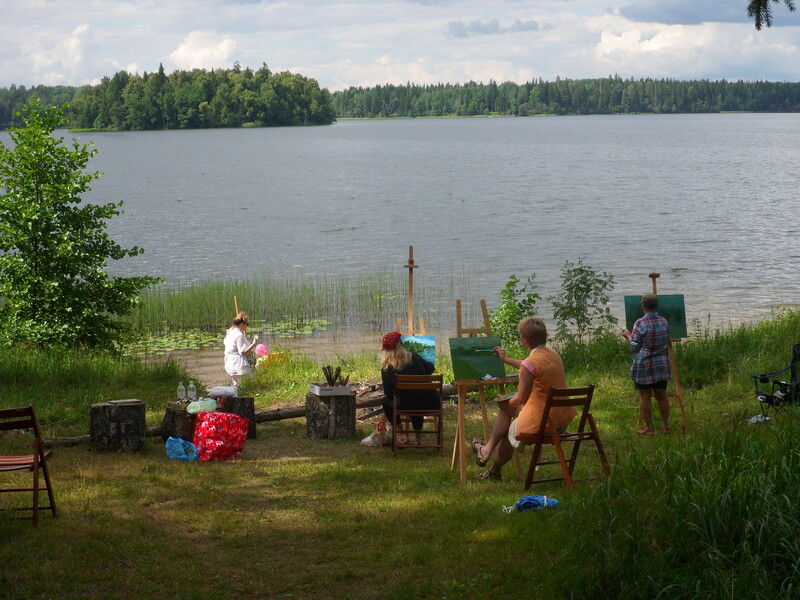 At one point maybe three-quarters of the way around the lake we came across a group of Estonian ladies out painting. They were just so cute out there, so friendly as we walked by, and so European. The other striking feature wasn’t quite so pleasant. Mosquitos. My God! I’d forgotten what they could be like. And huge, like Alaska-huge, which is even worse than Minnesota-huge. The good news was that I’d bought some powerful repellant before leaving the States. The bad news was that because we haven’t encountered any mosquitos to date, the bug dope was still in my suitcase. We tried to stop to eat some snacks we’d bought for lunch, but that was just a lost cause; they were stopping for lunch, too. And did I mention big? One nearly carried Mark away before I grabbed his foot and pulled him back. For many years, I’ve known that one of my favorite things was to go for a bike ride in the country. Now I’ve learned I should have been more specific. Which country? Today’s ride was a short ride out of Tartu, Estonia, on kind of a clunker. 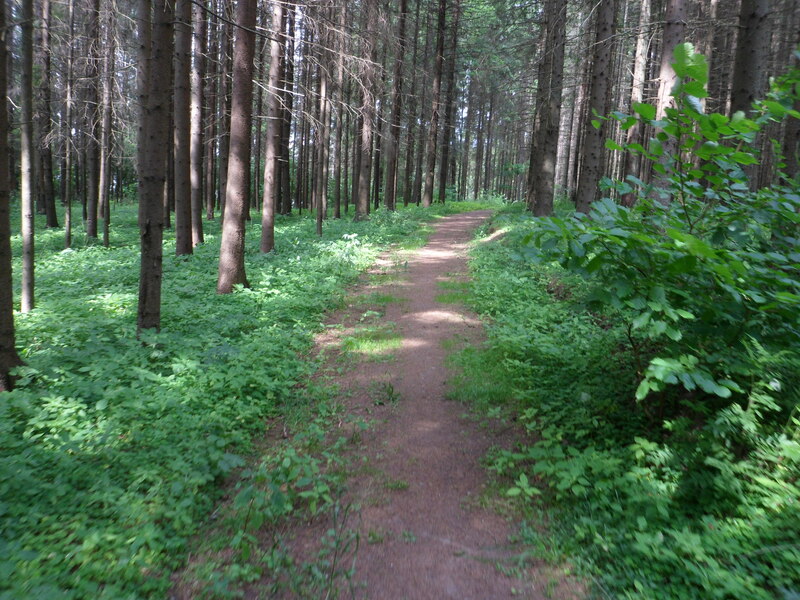 For a while I was on a pleasant bike path separated from a not-too-busy highway; nice enough. 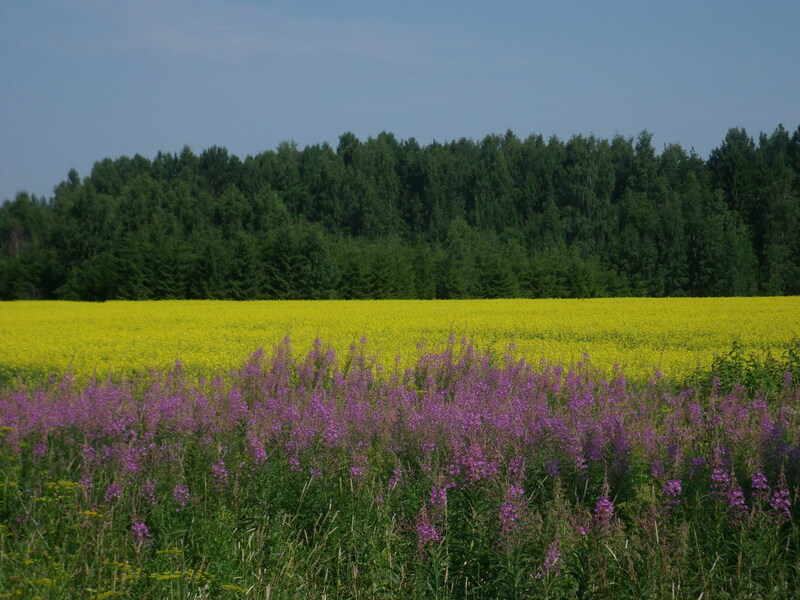 But then the trail left the highway and I was on small country lanes, passing wild flowers, mustard fields in full bloom, wheat, potatoes, little streams. 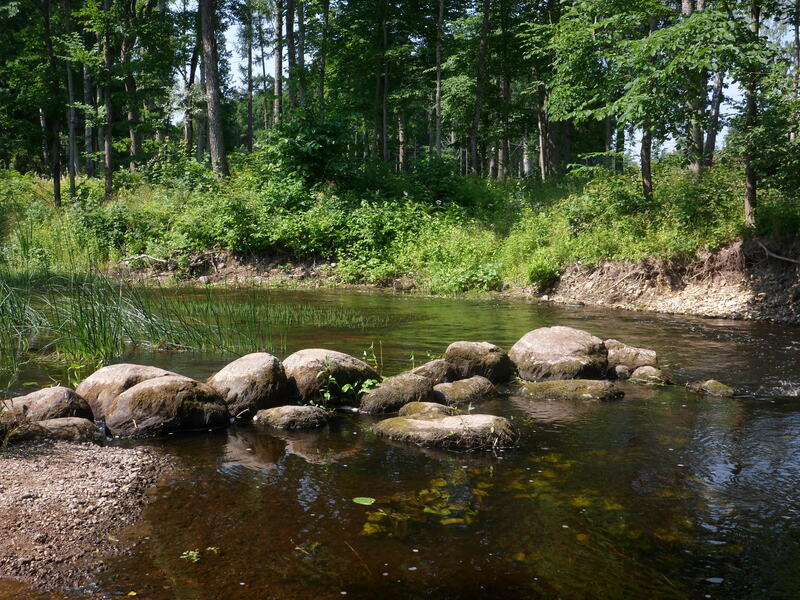 Of course, part of the fantasy is to get far away from everything, find a stream, and sit on a rock in the sun reading, hearing nothing but birds and the gurgling stream. 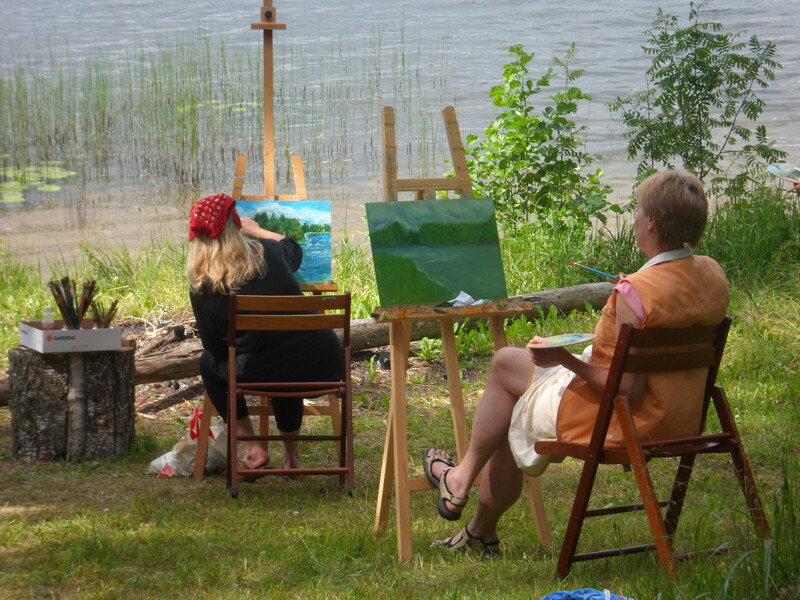 We’ve seen – and enjoyed – two Estonias since our arrival on Monday. 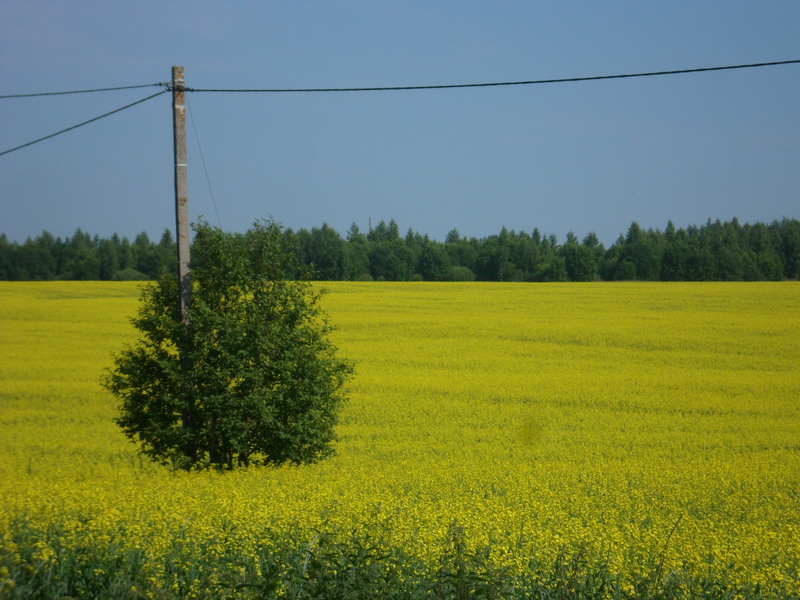 We loved our three days in Tallinn, and today took a three-hour bus ride through a gorgeous countryside, passing acres and acres of mustard fields in full bloom. 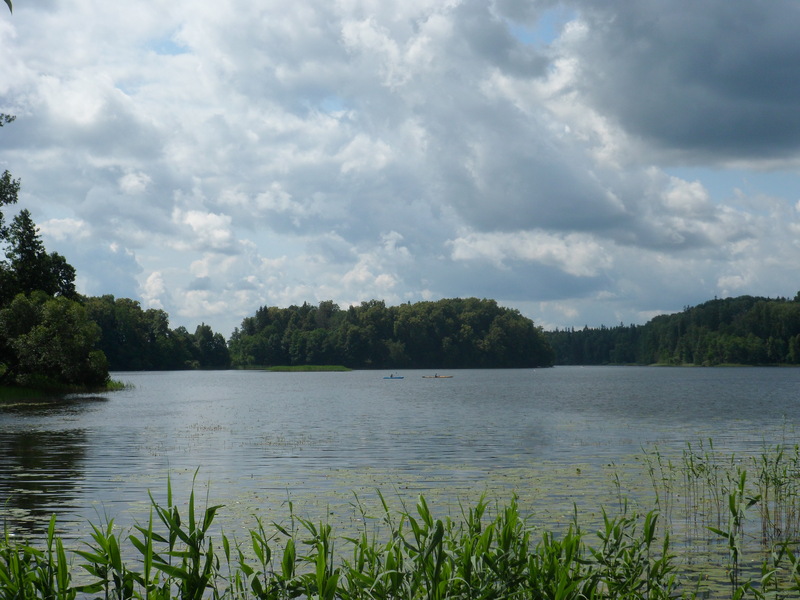 As Mark’s pictures from our bike ride outside of Tallinn suggested, there’s a lot to enjoy. 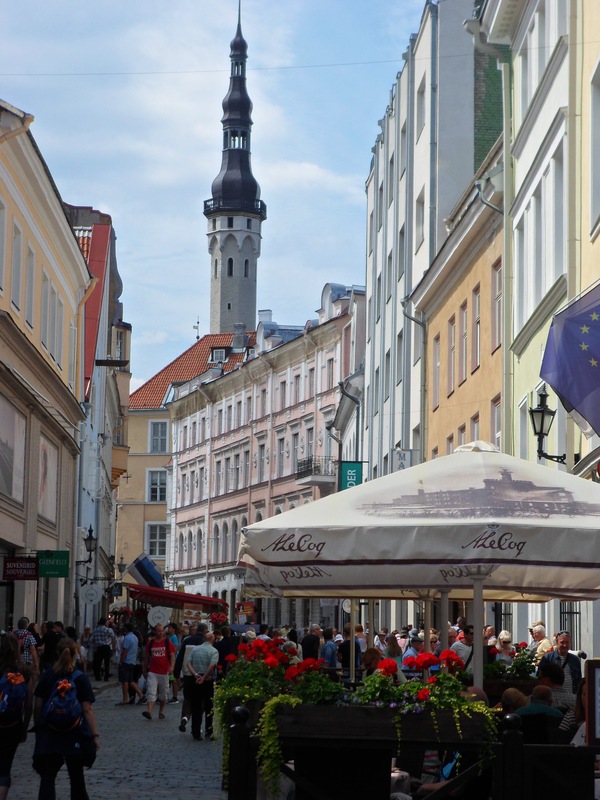 The first Estonia is the Old Town in Tallinn, a medieval jumble of cobblestones and spires, courtyards and outdoor cafes (in the summer, presumably), named a World Heritage Site by UNESCO in 1997. It’s beautiful, enchanting, and appears timeless, though apparently timelessness is more ephemeral than one might think. During the Soviet time it became quite run down and was anything but a tourist spot. 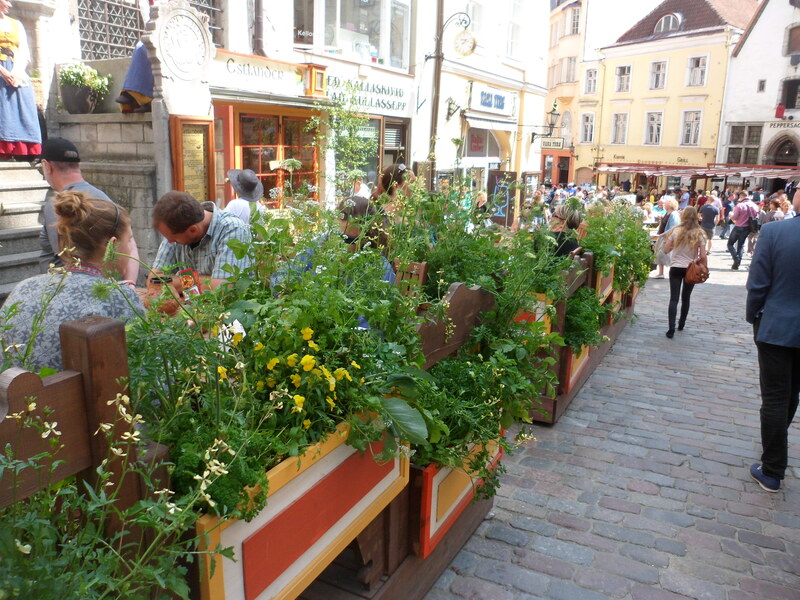 Only with renewed independence in 1991 did Estonians start to restore the historic center of the city. Old Town is a lot of fun, but the problem is that for too many tourists – particularly the hordes who are discharged from cruise ships in the morning and head back on in the evening – that’s all they see. To some degree it’s the Disney version of Estonia, up to and including all sorts of people in period costumes offering free stuff if you’ll come into their quaint Disney-version restaurant. Fortunately, there’s a lot more than that here. 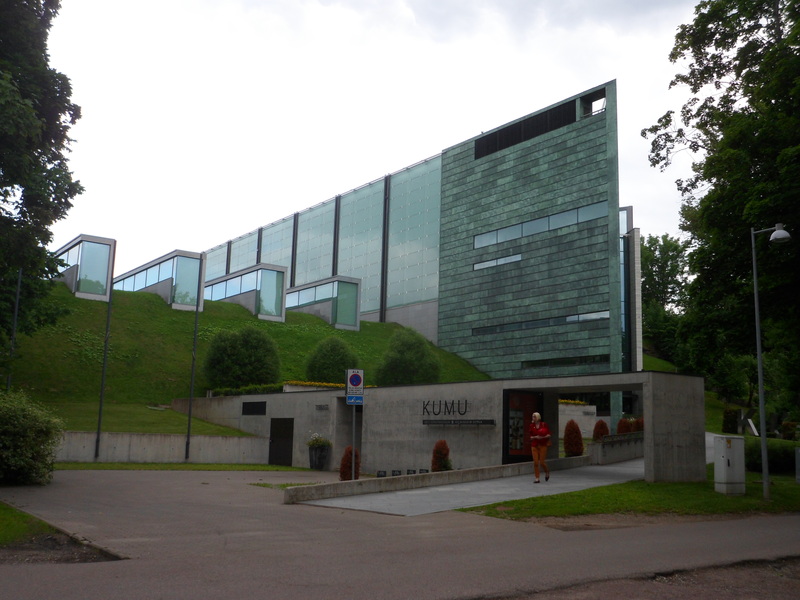 One of the highlights for us was KUMU, the Art Museum of Estonia. There was lots to enjoy there, to learn a little about Estonian history through the collections we walked through, and the architecture was very cool. 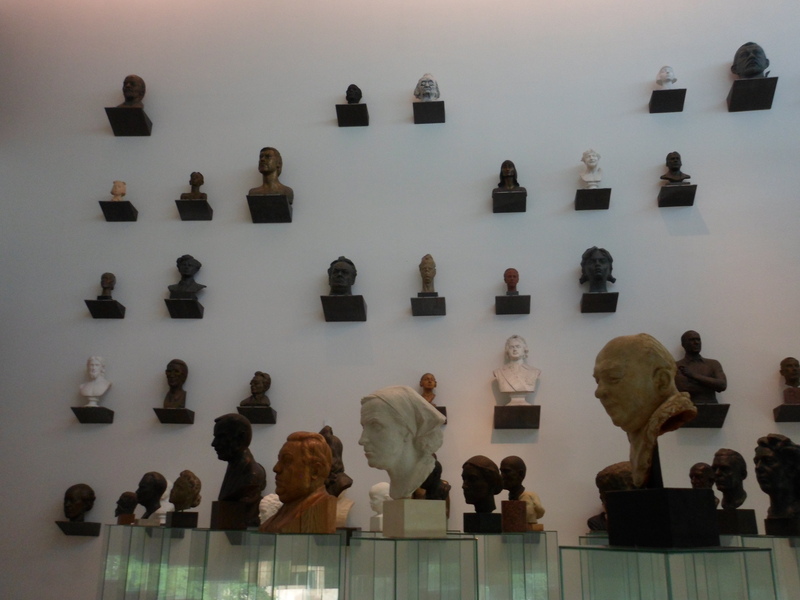 An odd room, though, was the highlight for us: a room of busts. Some famous and recognizable, most not. Even one seagull’s bust. There was something just very eerie about all those busts in one place. Another intriguing insight into Estonia and it’s history was a little one-block detour off a walking route recommended in Lonely Planet to a synagogue. 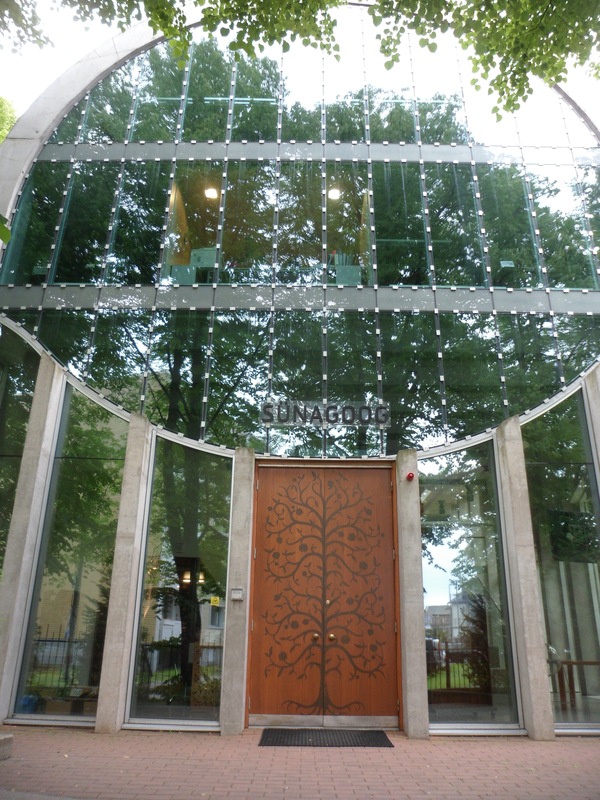 What makes it so interesting isn’t just that it’s new and beautiful, but that built in 2007, it’s the first synagogue built in Estonia since the Holocaust. One of the interesting things for me in this little exploration of Estonia is the history, and the country’s obvious interest in re-emphasizing Estonia’s history. 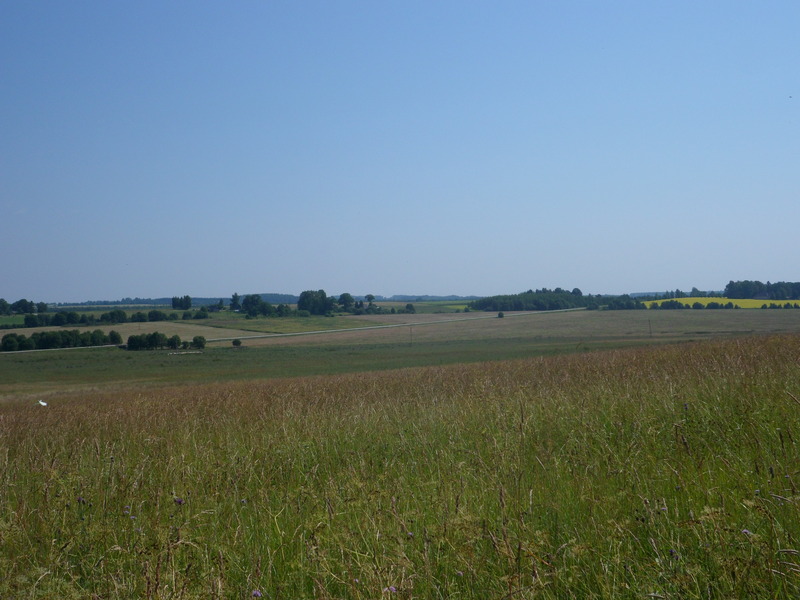 The land was fought over by the northern European powers – Sweden, Russia, Germany – for centuries. Not until the aftermath of the Bolshevik revolution were Estonians (briefly) able to throw off Russian rule. The Nazi-Soviet pact in 1939 put an end to that, as Soviet troops moved in, not to leave until 1991. 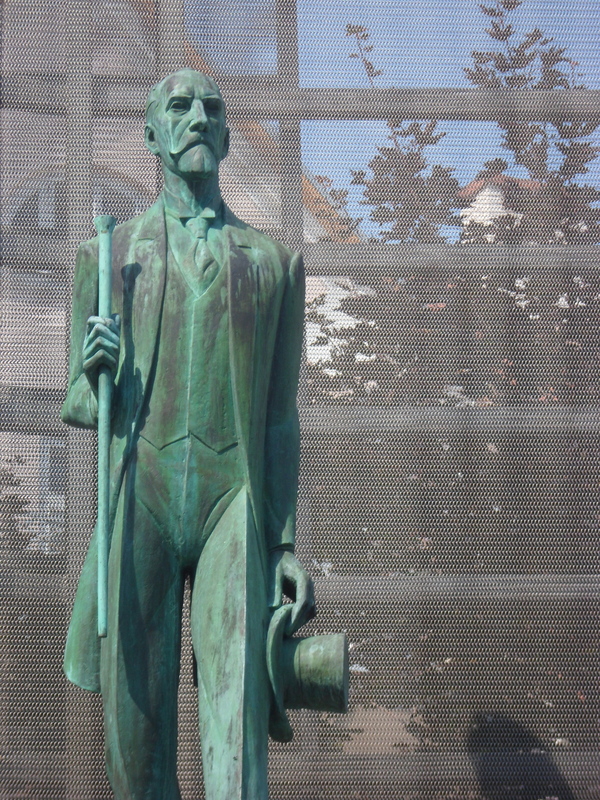 Interestingly, a lot of that story is told in statues we find around town. Jaan Tonisson, for instance, was a leading figure in the early 20th century independence movement and later served as Foreign Minister, Prime Minister, and Head of State. What intrigued me about the statue, though – besides the elegance and stateliness it exudes – is that while his date of birth is known, his death isn’t; it’s listed as “1941?”. Typically though we may not know precisely when historic figures were born, we’re usually pretty certain of their death. In his case, though, when the Soviets moved took over in 1940, Stalin simply had people like him “disappeared;” he went into a prison and nothing was ever heard from him again. That question mark on his date of death speaks volumes. Of course, the Soviets tried to stamp out vestiges of Estonian independence. 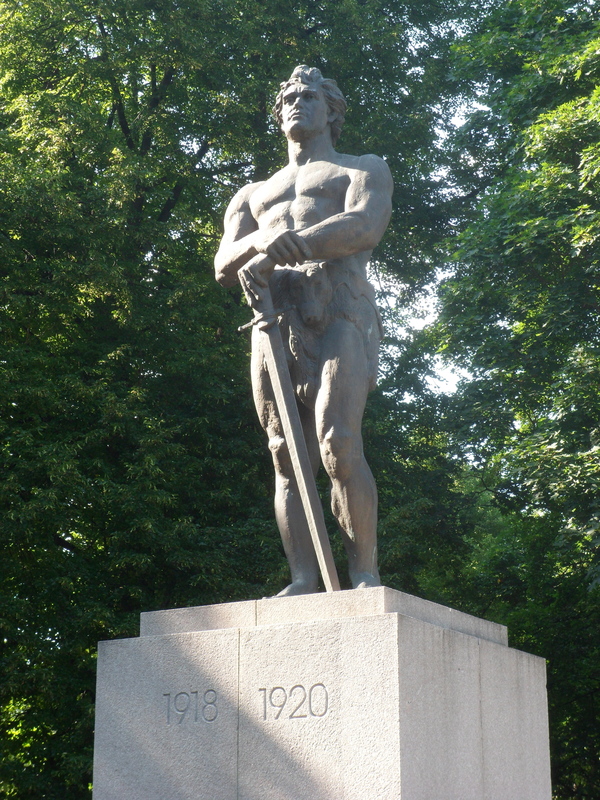 The Tartu Statue of Liberty was a tribute to the heroes of the 1918-20 War of Independence. In 1950, though, the Soviets destroyed it and replaced it with a statue of Estonia’s most famous author, F.R. Kreutzwald, who presumably felt safer to the Soviets. Fast forward a few decades and after they regained independence the people of Tartu moved Kreutzwald downstream a bit – it’s still a good monument and he’s still their most honored author – and restored the Tartu Statue of Liberty to where it belongs. Finally, there may be a case to make that there’s a third Estonia, remnants of the old Soviet Union, but fortunately they didn’t do as much permanent damage as they could have. You don’t get anywhere near the sense of lingering bureaucracy here that you had in Russia; everywhere we’ve been, we find good and helpful service, something that couldn’t be said in Russia. 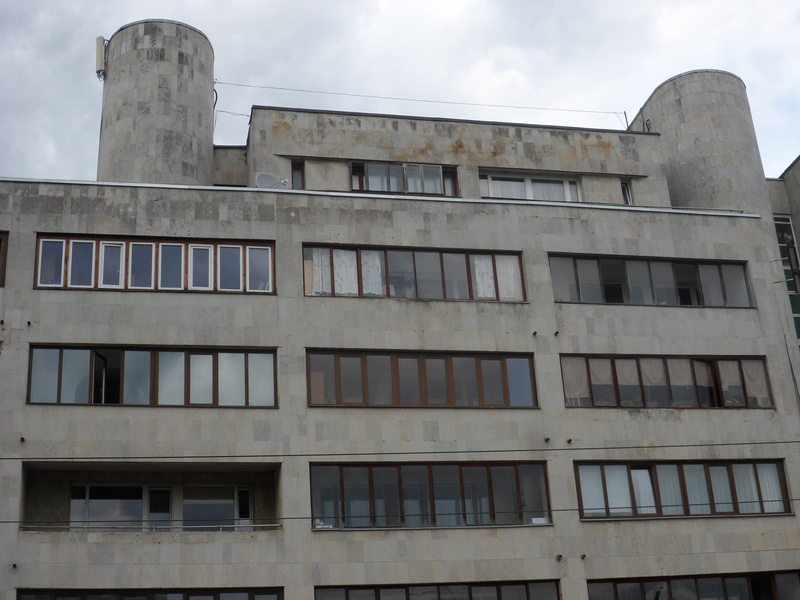 There are, though, still some painful examples of Soviet architecture. It really is awful.